What would Malaysia look like if we had fewer cars on the roads, which needed fewer parking spaces, and had more parks or gardens instead? 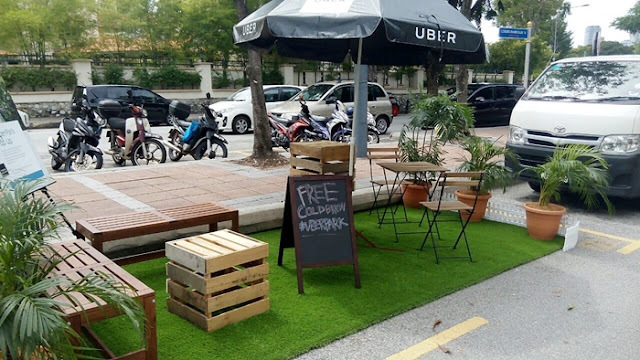 If you’ve recently been around the Klang Valley, you might have noticed an odd sight - a parking lot that has been “reclaimed” and made into a park. 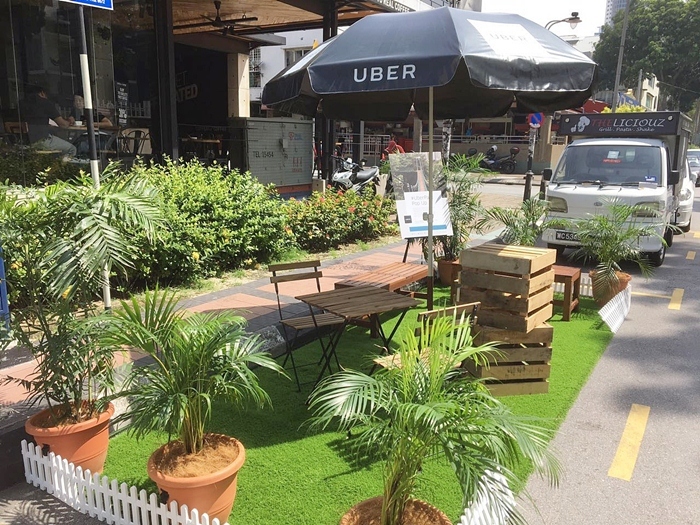 Well, Uber has been transforming parking lots in and around Kuala Lumpur and Petaling Jaya into green parks for a chill out space. 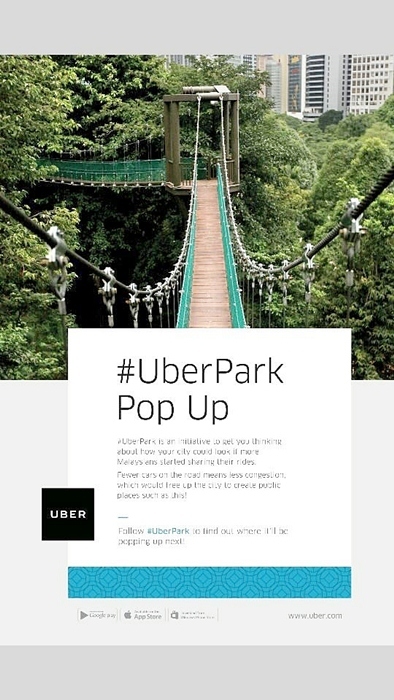 This initiative by Uber Malaysia to get us imagined what a space could look like if there is one fewer car on the road. #UberPark reclaiming paradise from parking lots in Klang Valley. As you know, our cities are truly in need of space for leisure, and certainly we could do with lesser jams and congestion! It's a truly unique concept that people could think about and replicate in their own spaces. Malaysia is known to have the third highest rate of car ownership in the world with 9 out of 10 households owning at least one car (Nielsen, 2014). In addition, Malaysia also ranks third in the world for multiple car ownership, with 1 in 2 households having more than one car. All these cars need to be parked somewhere.